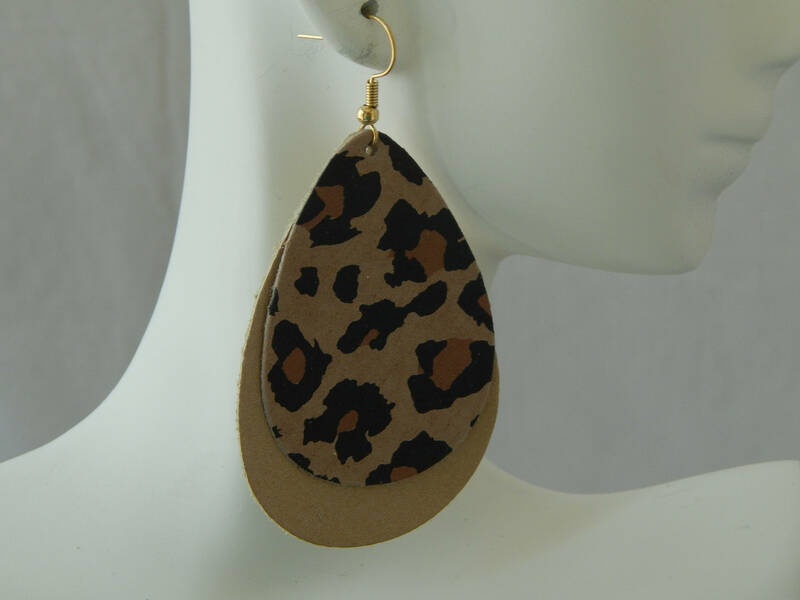 Double layer leopard print tear drop shape leather earrings hang from your choice of either 14kt gold filled earwires or sterling silver earwires. 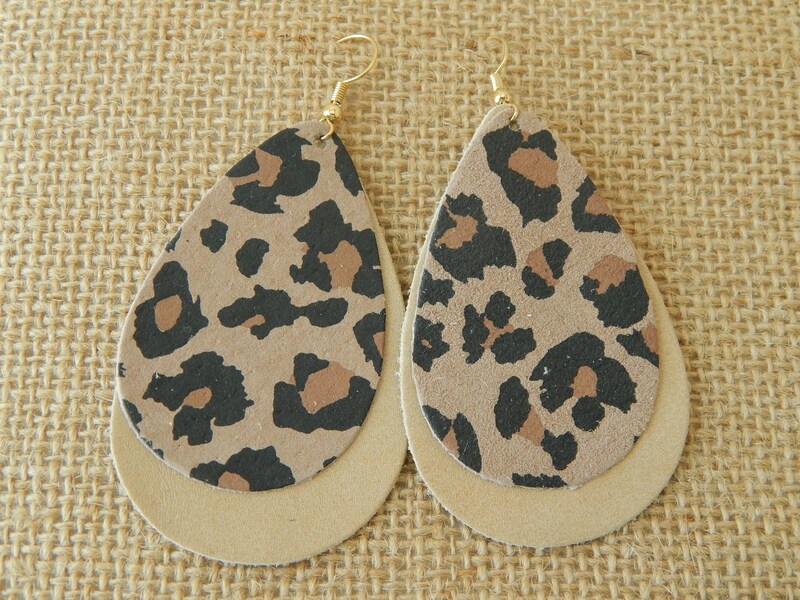 The neutral colors of the leather will easily match any outfit and the leopard print will make these earrings a fun addition to your jewelry wardrobe. Super light weight and comfortable to wear everyday. Total length of earring with earwire is 2.5 inches.